I’m on my way to Nampa, Idaho for the Wesleyan Theological Society meetings. Tomorrow I’m doing a workshop on my distinction between Industry Evangelicalism and Testimony Evangelicalism. My last two posts have also been related to this theme. Last month I wrote on the Tower of Babel and the motivations for building towers and walls. Sunday I used Christena Cleveland’s book to explore how we might live without walls. And then the news came out that Bryan College was “clarifying” the doctrinal stands that faculty and trustees are expected to endorse. Clarifying is in quotes because it takes some serious mental gymnastics to not see the new statement as a major change. The earlier statement is couched in theological terms (God created, there was sin, death resulted) while the clarification is in biblical scientism terms (there was a literal Adam and Eve, all humans descend from this couple). If I imagine myself sitting with a group of trustees, I can hear concerns about religious persecution and a secular society that minimizes people of faith. I can hear them express alarm at the ridicule that accompanied the Bill Nye-Ken Ham “debate” (which was as much a debate as presidential debates; more like sequential monologues). I can hear the dog-tired meme of Harvard losing its way because it shifted Capital T truth for small t truth. I understand why it’s tempting to build walls taller and thicker. I get the value of sitting inside the inclosure complaining about what’s happening outside (or maybe I’m just sick and tired of the snow and cold and am transferring). But it’s still a mistake. It’s a mistake because anytime we trade the security of imagined certainty for the engagement with risky unknowns, we suffer. We suffer because in our bones we know it’s more complicated than we make it out to be. And that inauthenticity spills out in surprising ways. It’s a mistake because it sacrifices the public dialogue to the secular voices. If evangelical Christians don’t engage the dialogue, even if not winning the final argument, then that voice becomes irrelevant to more and more people. It may be safe inside the walls but without new people entering, demographics work against you. It’s a mistake because it doesn’t prepare the school’s graduates for what happens when they graduate. Once they meet up with folks outside the walls who 1) aren’t ogres and 2) make cogent arguments, the risk is that they will abandon faith altogether. It’s a mistake because it does damage to the very ethos of the institution. I’ve written before about Summer for the Gods, Edward Larson’s history of the Scopes trial. It was an eye-opening book for me. It showed me that the Scopes trial was a far more complicated issue that Inherit the Wind made it appear. 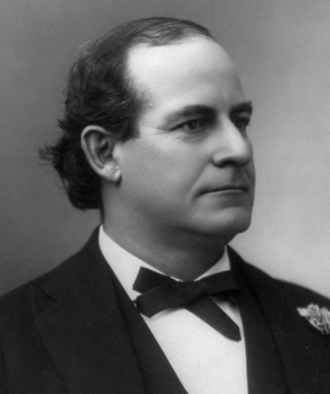 Furthermore, William Jennings Bryan, the college’s namesake, was a far more complicated man than we realize. He could handle complexity, could be progressive, and understood the impact of decisions on the common person. He was a populist who had a suspicion of elites. Sure, he was opposed to aspects of Darwinism (although the social implications bothered him as much as the biological ones). In short, it’s a mistake because Bryan wouldn’t have endorsed the “clarifications” at the college. Instead of focusing on William Jennings Bryan, it seems that those trustees want to keep relitigating the Modernist-Fundamentalist controversy the Scopes Trial embodied. They forget the outcome: public ridicule, an unenforceable law, and a biology teacher who didn’t even go to jail. But the idea of the Great Conflict is appealing. It fits those issues of Pride and Fear that I’ve been addressing in these posts. Far better to engage in the mission of the Gospel. To affirm that God is at work in His world. To recognize that there is literally nothing we can study — in science, in historical criticism, in sociology — that surpasses God’s knowledge and truth. If we affirm that God is sovereign, is building His Kingdom, and is active in the world through his Spirit, then we resist the temptation to build walls. Maybe this is what it means to take up your cross, to suffer, to become a servant, to be Christ-like. Maybe wall building is exactly the kind of thing we should give up for Lent.